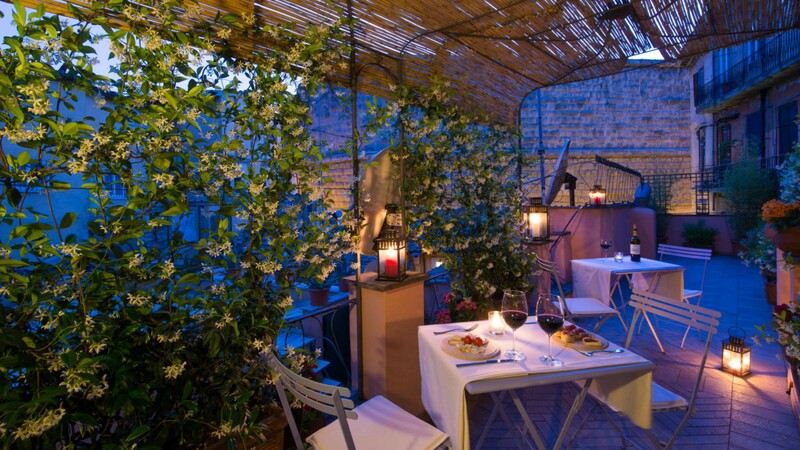 Two Bedroom Apartment With Private Terrace of Inn Apartments in Rome consists of 2 bedrooms with private terraces. Perfect for 6 people. 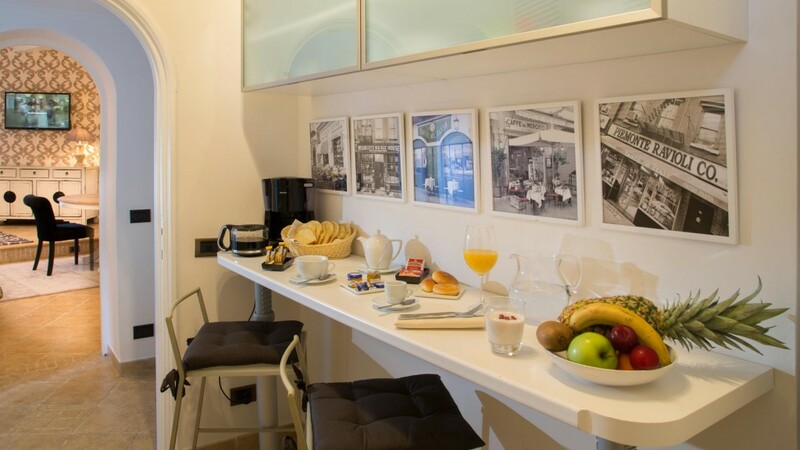 2 bedrooms with double bed + 2 single sofa beds. 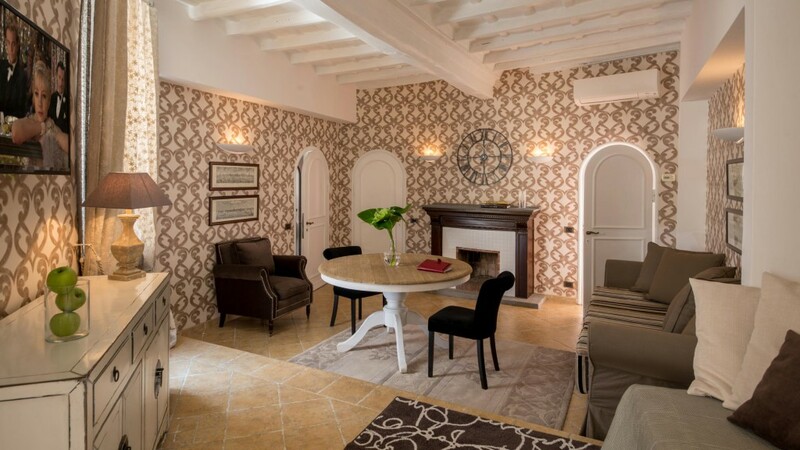 The apartment is characterized by an independent entrance that is located in front of the main entrance of the hotel; located in a classic Roman building, renovated in a contemporary style, keeping the charm of the old world unaltered. 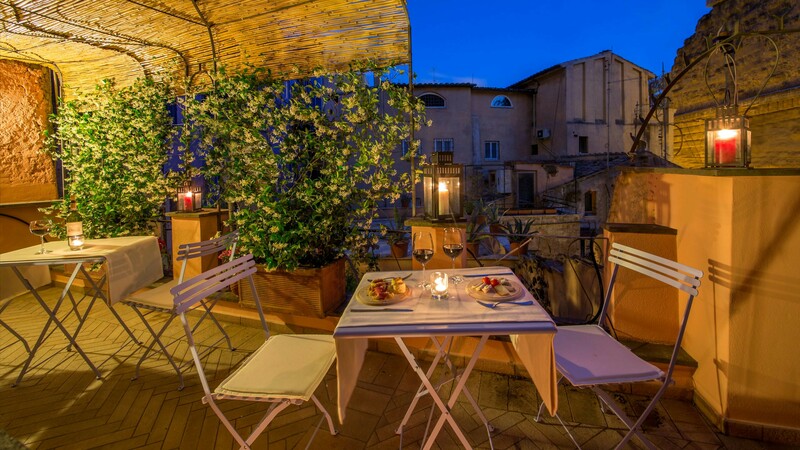 The apartment, bright and with a 2 bedrooms each with double bed and TV, is equipped with 2 bathrooms with shower, equipped kitchen with appliances and a beautiful private terrace on two levels overlooking the ancient Roman walls. In the living room you will find a flat-screen TV, a dining table and two large single sofas which can be turned into comfortable sofa beds at night.